Tamy was nominated one of the Top Women in Restaurant Technology for 2018 for her leadership in defining an integrated technology stack, selecting vendor partners and solutions, and implementing the stack that consists of an enterprise SD-WAN PaaS network, integrated POS / KDS / BOH SaaS platforms, and new digital ecosystem comprised of 3rd party delivery / marketplace ordering, eCommerce / catering engine, loyalty / CRM, and single-view-of-the-customer marketing analytics. With over 30 years solving business challenges through technology, she has been a tremendous change-agent in leading brand growth strategies, building teams that deliver results, and implementing integrated platforms that elevate performance with Le Duff America (la Madeleine, Mimi’s Café), Main Event Entertainment, Potbelly Sandwich Works, Applebee’s, and T.G.I. Friday’s. 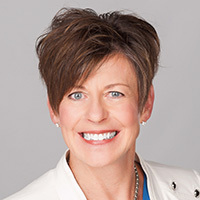 She also led business development for a PCI managed service provider, VendorSafe, and a back office platform provider, CrunchTime Information Systems. Tamy is currently providing strategic technology consulting services to multiple companies as well as leading on various industry leadership councils.